American countries, such as El Salvador, Guatemala, Costa Rica and more. Jose Romero, general manager of Spanish-language marketing for Sling TV. 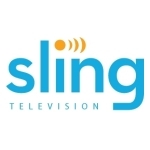 “Sling Blue” and/or any Spanish-language service from Sling TV. in the USA like news, sports, travel & lifestyle and cooking shows. offering news, music and entertainment for the entire family. and/or any Spanish-language service from Sling TV. devices to U.S. households. Visit www.sling.com.